for Children up to Age 21! One of the fastest growing dental offices in Columbia! 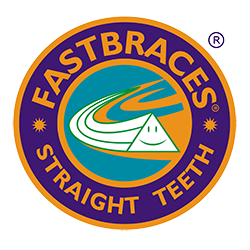 We offer dental care, sedation dentistry for children up to age 21, exams, X-rays, extractions, cleanings, fillings, crowns and FASTBRACES®. Are you trying to find the right Dentist for your child? We are skilled in the art of treating children who have a fear of going to the dentist. With over 25 years experience of working with children, our dental patient’s come to love visiting our office because of our fun and kid friendly environment. We are very parent friendly and our parents are always welcome in the hygiene area with their children. Many children are, therefore we have TV’s in every treatment room playing non-stop kid friendly programming. This ensures a calm but fun dental visit! Our parents love saving time and money with our “same day” service. This allows children to have multiple dental services such as cleaning and fillings done in just one visit. This is a huge time saver for Mom and Dad (one trip) and their child (out of school less time). We want dental visits to be something that your child will look forward to! We have monthly contests, prizes and give aways for your child. Because we have come across so many children with high levels of anxiety we utilize sedation dentistry for children and teens. We are trained in sedation dentistry for children and are one of the only children's dental practices throughout Columbia that offers this service and expertise for your child. Many offices will not treat children beyond the age of 13. We are one of the only children's dental offices in the Midlands that accepts children and teens up to age 21. This allows for us to foster long-term relationships with our patients. Our founder and director Dr. Greg Wych is a leader in the dental field and his expertise is featured on radio and television. Each month he is the featured dental expert on 92.3 FM The River on the Friday Morning Drive show. Heâ€™s also a member of the visiting faculty for the Scottsdale Center of Advanced Dentistry. We are conveniently located off of I-26 just 10 minutes from downtown Columbia, South Carolina.